Does your pastor have the blues? The greatest struggle of the average pastor in America is with discouragement and sometimes flat-out depression. The source of his discouragement may be the stress of the ministry and the absence of elders who are walking with him in it. Or the feeling that he is not equipped to take care of a flock. Or that he or his wife or children are struggling with their own sins that they believe they have to keep hidden in order to maintain the facade of a “nearly perfect family.” Or the source may be financial stress. I heard about another pastor who was thrilled when a couple of families in his country church started giving him milk and eggs every week. Until he found out that the cost of the gifts was being deducted from his salary. Part of the problem is disobedience to the Scriptures with regard to providing for pastors. But there is a deeper problem with disobedience to the Word with regard to giving to the church. 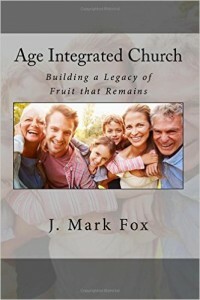 The average church in America operates on a 10/90 basis. Ten percent of the people give 90 percent of the money so the church can operate, the pastor and the elders can feed and equip the people (100 percent of them), the lights can stay on, and the missionaries can do their work. Let me ask you something: What percentage of people in churches in America make the payment on their car, which provides them with physical transportation, in the same way they give to the church, which provides them with spiritual nourishment and development? I would guess that most do not. The few who do pay their bills that way end up losing their cars or their homes. Now, if we pay our bills 100 percent of the time because we feel an obligation to do so and we want to continue to enjoy the material things that those bills represent, how much more should we cheerfully give to the church where we are fed spiritual truth? Does your pastor or his wife have the blues? Previous Previous post: Who is to care for widows?